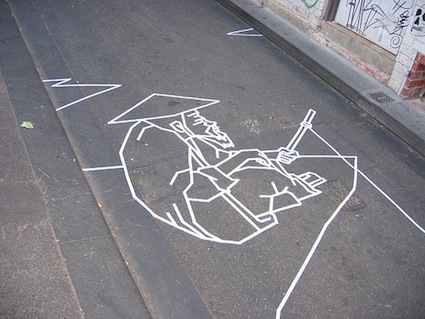 Born in 1973, Sam Jinks currently lives and works in Melbourne. His major solo exhibitions include Boutwell Draper Gallery in Sydney, West Space in Melbourne, Seventh Gallery in Melbourne and the Benalla Art Gallery in Victoria. He has also participated in numerous groups exhibitions. Sam’s work can be found in the collection of McClelland Gallery and Sculpture Park, Langwarrin along with numerous private collections in Australia. The realism is so profound. These faces look so real. Bravo... With a applause. not sure what i would do with these but the fact that someone can sculpt them impresses me no end. Go to the artist's site. The realism of work is impressive. He and Ron Mueck appeal to our sense of voyeurism. 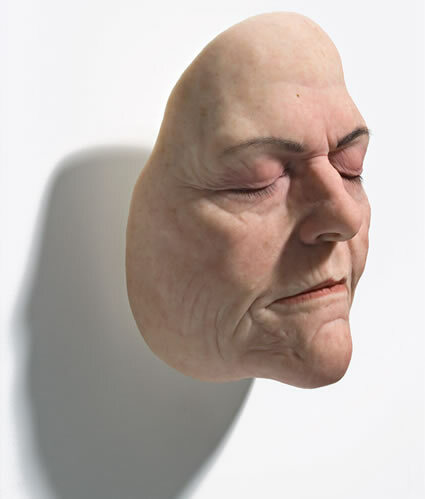 Mueck's work conveys emotions and states of being that are accessible and easily related to, at least for me. I feel connected to them. Sam Jinks' figures, however, are more emotionally mysterious and leave me wondering what they are feeling and why they are there. I thinks this contributes to the eeriness of the sculptures. did u slice off those old folks faces?? joke aside... pretty good touch there. It is so real I thought they were acttual faces! He is really good. I am creeped out by this. It's interesting and well executed, but creepy. It looks so real it's scary. It looked so real I thought someone donated their face lol!